Stanhope Grove , Beckenham , London - South , England , UNITED KINGDOM (Postal Code: BR 3 3HL). This sports centre delivers 25 meters x 10 meters, Indoors. For this Swimming Pool, only phone number is number here. High Street , Woolwich , London - South , England , UNITED KINGDOM (Postal Code: SE18 6DL). This sports centre delivers 25 meters, 4 lanes, Indoors. For this Swimming Pool, only phone number is number here. 658 Chiswick HIgh Rd. , Brentford , London - West , England , UNITED KINGDOM (Postal Code: TW 8 0HJ). Swimmers like you reported 25 meters, 6 lanes, Indoors. Unfortunately we do not have the email address of this Swimming Pool, but we can give you the phone number. Updated on 2019 Hornfair ParkShooters Hill RoadLondonSE18 4LX. Swimmers like you reported Olympic size, 5 lanes, Indoors. Unfortunately we do not have the e-mail address of this Swimming Pool, but we can give you the phone number. Norfolk Place , Paddington , London - Central , England , UNITED KINGDOM (Postal Code: W 2 1PG). Among all the activities provided by the centre, for anyone who is thinking about swimming you will enjoy 20 meters, Indoors. Just in case you need to contact this Swimming Pool before dropping by, we only know the phone number. Bushey Rd. , Raynes Park , London - South , England , UNITED KINGDOM (Postal Code: SW20 8TE). Swimmers like you reported 25 meters x 8 meters, Indoors. Unfortunately we do not have the email address of this Swimming Pool, but we can give you the phone number. Station Road , West Wickham , London - South , England , UNITED KINGDOM (Postal Code: BR 4 0PY). Among all the activities offered by the centre, if you are considering swimming you will enjoy 33-1/3 meters x 15 meters, 5 lanes, 1 meters - 3.8 meters depth, 1 meters - 3.8 meters depth, Indoors. If you must contact this Swimming Pool, email address and phone number are both number. 192 Southbury Road , Enfield , London - North , England , UNITED KINGDOM (Postal Code: EN1 1YP). Among all the activities provided by the centre, for anyone who is thinking about swimming you will enjoy 25 meters, 8 lanes, 6 feet maximum depth, Indoors. If you need to contact this Swimming Pool, email address and phone number are both number. Updated on 2019 Eastcote Rd. , Ruislip , London - West , England , UNITED KINGDOM (Postal Code: HA4 8DZ). This sports centre gives 33.3 meters, 6 lanes, Indoors. For this Swimming Pool, only phone number is number here. Leisure Way, High Road , North Finchley , London - North , England , UNITED KINGDOM (Postal Code: N12 0QZ). Among all the activities offered by the centre, should you be enthusiastic about swimming you can enjoy 20 meters x 10 meters, Indoors. Just in case you wish to contact this Swimming Pool before dropping by, we only know the phone number. 39 Lower Clapton Road , Hackney , London - East , England , UNITED KINGDOM (Postal Code: E 5 0NU). Among all the activities offered by the centre, should you be considering swimming you can delight in 25 meters, 6 lanes, Indoors. Just in case you would like to make contact with this Swimming Pool before dropping by, we only know the phone number. 32 Endell St. , Bloomsbury , London - Central , England , UNITED KINGDOM (Postal Code: WC2H 9AG). 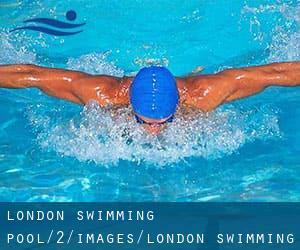 This great and large sports centre lets professional swimmers like you enjoy 27.5 meters x 9.8 meters, 3 lanes, 0.9 meters - 3.5 meters depth, 0.9 meters - 3.5 meters depth, Outdoors. Additionally, within these facilities you can try 25 meters x 8 meters, 3 lanes, 1 meters - 2 meters depth, 1 meters - 2 meters depth, Indoors. Unfortunately we do not have the e-mail address of this Swimming Pool, but we can give you the phone number. 30 Porchester Road , Queensway , Bayswater , London - Central , England , UNITED KINGDOM (Postal Code: W 2 5HS). Swimmers like you have reported 30 meters, 6 lanes, Indoors. Also, you will find 20 meters, Indoors. If you need to contact this Swimming Pool, email address and phone number are both number. Baugh Rd. , Sidcup , London - South , England , UNITED KINGDOM (Postal Code: DA14 5ED). Among all of the activities provided by the centre, for anybody who is interested in swimming you will get pleasure from 25 meters x 11 meters, Indoors. Just in case you desire to get in touch with this Swimming Pool before dropping by, we only know the phone number. 35 Marvels Lane , Grove Park , London - South , England , UNITED KINGDOM (Postal Code: SE12 9PN). Among all the activities offered by the centre, when you are interested in swimming you will appreciate 20 meters x 10 meters, Indoors. Just in case you need to contact this Swimming Pool before dropping by, we only know the phone number.